So Jim and me wanted to get a for an overnight thing and see something outside Stockholm. After a some thinking we decided to go and visit my parents who Jim had not seen since my wedding. So off towards Rättvik it was. We started early on Wednesday and decided that the first stop should be the Copper Mine in Falun. This site is on the UNESCO World Heritage List which is a list of a 1000+ sites around the world that the UN has decide are important to preserve for future generations. It is a pretty impressive list to be on I guess. When you drive in to the city of Falun from the south the first you see are the 2 ski jumping hills at Lugnets skiing stadium and Jim wanted to go see them up close so that is what we did. Here is also a video about Falun and Lugnet. After we were done with Lugnet we headed down to the Mine area for our pre booked guided tour. I had not been to any of the sights except for the main ticket office but we did not see any of the exhibitions at that time. Now we had a few minutes before the tour and we walked around a little an checked out some over ground stuff. Like this rather big hole in the ground. And this guy out on a walk. After we surfaced we did a quick tour of the main museum and did a lunch and then we headed towards Rättvik because Swedish fika at my parents house was waiting, awesome as always. 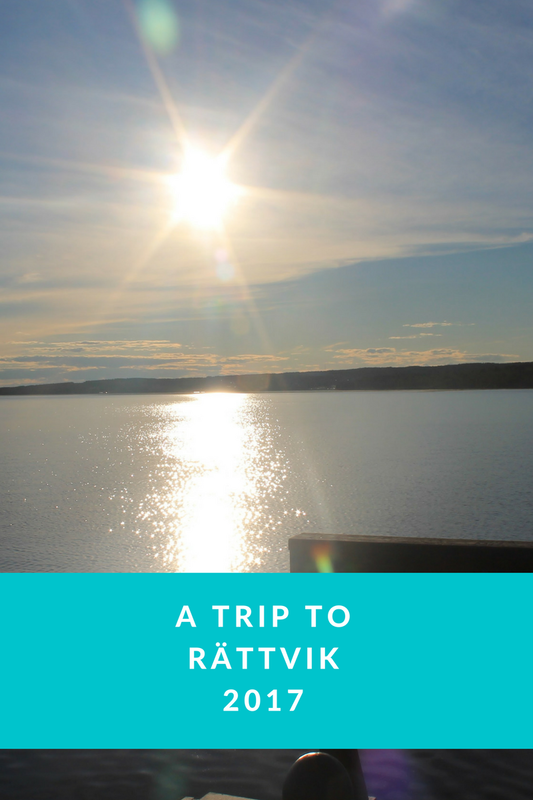 We noticed we had a opening in the schedule so we dashed over to Vidablick which is a outlook point looking out over Lake Siljan and you are for a fee allowed to walk up into the tower and get the really great view. They also have a café at Vidablick but we were Fika'ed out already but always time for a photo op. We also shoot up to the top of the local ski hill to get another view of Rättvik and then we noticed they had the Summer Luge open and put that as a maybe for the next day. After dinner with my family we decided to walk "downtown" and walk out on the pier, Långbryggan. The pier is 628 meters long and here is a few pictures from the walk which also took us past the Church boat on display. After that we needed to relax and also that was accomplished with ease at Big Street. End of day 1.